Summary: A young teenager teams up with an aging scammer and his daughter after he fails a High School exam. Normally when you think of a heist film you think of big stakes and huge amounts of action. It’s how modern day cinema has programmed us with films like Oceans 11 and The Fast And The Furious pushing the boundaries of the genre with every entry into their franchise. But now comes a heist movie with a real difference. Low budget film Sucker takes a look at the smaller heist and scams that probably go on around the world every single day. Hell, you’ve probably been a victim of them and not even realised. The man pulling the scams is the aging rip off merchant who names himself The Professor (Timothy Spall). He has been successfully (and sometimes not so successfully) scamming people right around Australia for most of his life. Sure it might just be $50 here or $100 there but it pays the bills and keeps him going, he is more than happy. For the last few years he has also had his beautiful and skilful daughter, Sarah (Lily Sullivan) by his side. While she makes the scams easier she also causes The Professor pain as it makes him remember when he was blindsided himself with his ex-wife. Then along comes Lawrence (John Luc who many would know as Youtube sensation MyChonny) a naive young Asian teenager who has just failed his family by being caught on his end of year school exams. Eager to make a change in his life (and perhaps just to escape his family for a while) Lawrence becomes intrigued by the world that The Professor lives in and decides that he wants to be his protégé. Anyone expecting Sucker to compete on the same par as the above mentioned franchises is in for a big shock. 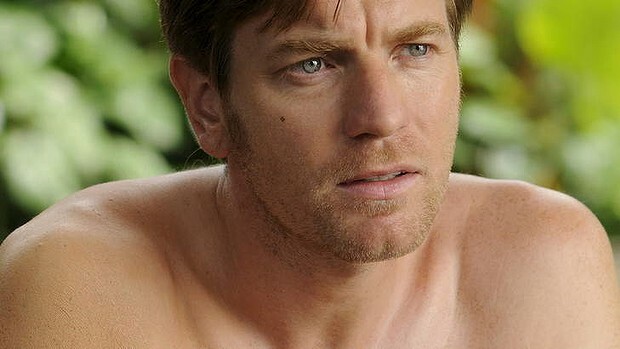 Rather than you dazzle you with a massive amount of special effects and huge named stars Sucker is much more a well told character tale. Aside from the whole narrative idea of going along with the idea that this is comedian Lawrence Leung’s life story (or is it?) most of Sucker actually works pretty well. The screenplay which comes from the pens of Lawrence Leung and director Ben Chessell (who has made his mark with directing hit television shows like Rush and Offspring) actually ends up working on a number of levels. There are a number of moments of comedy which do actually make the audience laugh but the power in this script is the basic yet interesting scams they have managed to include throughout the film. Yes you do start to care about what happens to Lawrence, especially when the young virgin starts to develop feelings for Sarah, but what really holds your interest is just how basic and simple these various scams are and just how well they work. From scamming chess clubs to finding ways to make money while visiting country pubs these scams are really basic but as an audience you can’t wait to see what the reveal is or whether or not the characters get away with it or not. Like a lot of Australian films there are some cheesy moments in Sucker but largely the good outweighs the bad. As I mentioned the film does have an emotional level, it’s not just scam after scam or trick after trick. As an audience you do actually invest an interest in the romance between Lawrence and Sarah, especially when you realise what a convincing con artist she is and you can’t help but wonder whether her affection is real or all part of another big scam. You also find yourself concerned about The Professor. The back story of his broken heart adds another element to his character but once again you are never one hundred per cent sure whether you can trust him or not. It might be a subtle kind of suspense that the filmmakers have come up with, but it is certainly there throughout the film. The legendary Timothy Spall laps up this script with clear actor’s delight. Many of The Professor’s scams involve him pretending to be intoxicated and Spall takes these scenes and runs with them over-acting to his heart’s content. As an actor though he is also smart enough to know when to rope this character again and also gives The Professor moments of deep emotion and also cruel anger. Spall is well backed up by young Lily Sullivan who backs up her sensational performance in Galore to show why she should be considered one of Australia’s most promising young talents… it really is only a matter of time before Hollywood notices her. Making up the team is John Luc who despite his inexperience as an actor never gets blown out of the water by his much more experience co-stars and he reveals himself to be a future comedic force in the Australian film industry. Sucker is a low budget gem that will have you laughing one moment and then deeply concerned the next. The film is made even more special by the acting talents of Timothy Spall but is well conceived scams that the screenwriters have come up with that will keep you watching. Other Subculture Entertainment Sucker reviews: You can listen to our full Daddy’s Home review on a future episode of The Good The Bad The Ugly Film Show. You can also read our Sucker review on The Book The Film The T-Shirt. 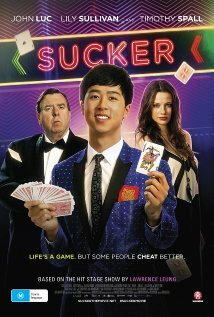 You can download Sucker now at www.suckerthemovie.net or iTunes. You can listen to or download our Sucker – John Luc interview right here. SON OF A GUN is the debut feature of award-winning Australian director Julius Avery (Jerrycan). A smart edge-of-your-seat heist thriller starring Ewan McGregor (Salmon Fishing in the Yemen, The Impossible), and talented newcomer Brenton Thwaites (The Giver, Maleficent), SON OF A GUN will screen in Official Competition at this year’s BFI London Film Festival. This also marks the film’s International Premiere. 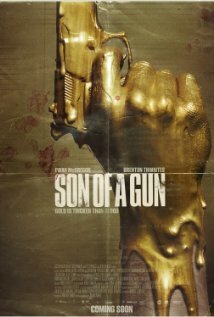 SON OF A GUN tells the story of a young man who is drawn into the lawless world of a notorious criminal. Serving six months for a minor offence, 19-year-old JR (Thwaites) quickly learns the harsh realities of prison life. After a chance encounter, he finds himself under the watchful eye of the enigmatic Brendan Lynch (McGregor), a calculating crime boss with extensive connections both inside and out. In exchange for protection, JR becomes apprentice to Lynch, and upon release he must orchestrate Lynch’s daring prison escape. Rewarded for his involvement and with a taste for the high life, JR joins the crew on their next job – a high stakes heist that promises to deliver millions. As he gets sucked deeper into Lynch’s criminal underworld, a tangled, co-dependent relationship develops. While planning the heist, he begins to suspect he is being played. Unsure of whom to trust, JR soon finds himself on a collision course with his mentor in a very dangerous game. Shot in Perth, Melbourne and Kalgoorlie, SON OF A GUN also stars Alicia Vikander, Matt Nable, Damon Herriman, Tom Budge, Nash Edgerton and Jacek Koman. This taught psychological thriller is Avery’s debut feature. His short film Jerrycan won a Jury Prize at the Cannes Film Festival. The 58th BFI London Film Festival runs from October 8-19, 2014. Entertainment One Australia will release SON OF A GUN in cinemas nationally on October 16, 2014.